The subject of this month’s photographs will seem all too familiar to many people living by the Thames. 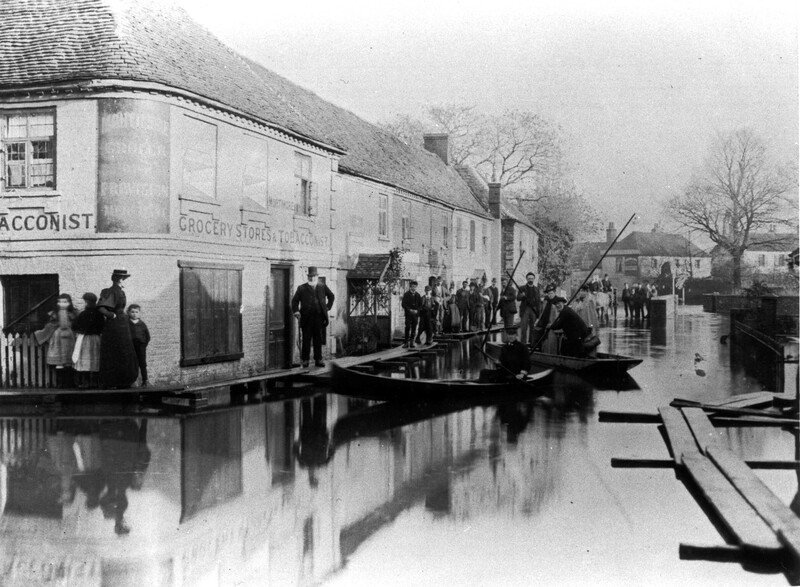 They show the floods of November 1895 in the riverside village of Pangbourne in Berkshire. 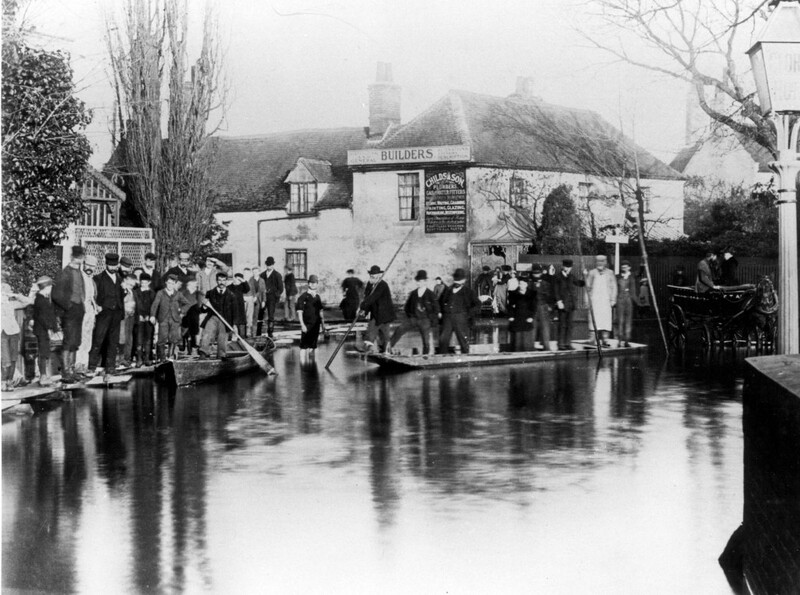 Small boats & punts can be seen transporting people along the streets & walkways constructed from wooden planks are used as pavements. The photographs are from the Sulham House Collection of some two hundred and forty prints showing life in and around Sulham between the 1880s & 1920s.